I care about my customers. I care about how each person who comes to see me feels, and what I can do to help each person feel their best. I work with you to develop a plan to help you meet your objectives, whether it is healing of injuries, increasing flexibility and range of motion, loosening muscle tension patterns from overuse or stress, reduction of pain, improving muscle function, or simply relaxing. Each session is custom designed for you, and with you. 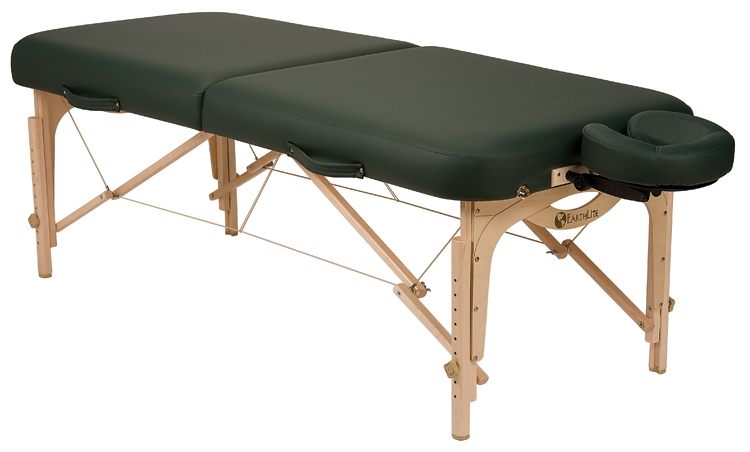 I am a firm believer that it is YOUR time on the massage table. I encourage your input, as we discuss how you would like your massage session to be spent. You and I will discuss if you have any special concerns, or areas that require additional time and focus. Do you have areas that are injured or I should be more careful with? No problem. No special requests? That’s fine too. I’m glad to provide a plan. I truly enjoy what I do. I find it very rewarding to see each person who has come to see me for massage therapy, feeling much better at the conclusion of their appointment, than when they first arrived. I am conveniently located downtown on the corner of Holly and Cornwall in the Mt Baker Professional Building, 1229 Cornwall Ave. Suite 214 Bellingham, WA 98225. I’m a great communicator. I listen to what YOUR needs are. I am available anytime by 360-303-6677, tomgurney@yahoo.com or http://www.facebook.com. You can speak to me directly before your appointment – not a receptionist. I am happy to discuss any questions you may have, and help determine if massage therapy and my practice are right for you. I am open 7 days per week, 8am to 7pm. Other times may be available – call for details. I take several forms of payment, including cash, checks, gift cards or trades. I am portable. I have a massage chair and can be available for parties, events, offices. I also travel to local rehabilitation centers and can give on location massages. I am continually working at keeping myself physically and mentally fit. I have not only the skill and knowledge, but also the physical strength and endurance to provide great massage therapy sessions. If you want to know how you can get physically fit let me know. I am also a Personal Fitness Trainer and a Physical Therapy Assistant. I’m fully licensed and legal, in compliance with all laws and standards of the State of Washington and have over 6 years of massage therapy experience and skills. I’m also fully insured and a professional member of the AMTA, American Massage Therapists Association. http://www.amtamassage.org/. I’m nationally certified as well, through the NCBTMB, National Certification Board of Therapeutic Massage and Bodyworkers. I’ve received an outstanding education from Whatcom Community College – graduating at the top of my class with a 4.0 GPA. I have taken additional training, to continue to add to my skills, increase my knowledge/skills and comply with massage licensing renewal requirements. I don’t overbook. Why is that important? Do you want to be the eighth, (or ninth, or tenth?) appointment in your therapist’s day? Neither do I, so I won’t do that to you. I take care of myself, and schedule a limited number of appointments each day so that your massage is high quality, no matter which appointment time you choose. I don’t pressure you to make your next appointment at the conclusion of your session. Of course you are welcome to, if you like. I believe that you and your body know when you’re ready for your next appointment, not me and my appointment book. Length of time between appointments varies for everybody, and even for the same body, depending on stress, healing, activities, and many other factors. You are welcome to either book another session, or call me whenever you feel you’re ready to come in again – it’s always up to you! I use a blend of shea butter and fractionated cocoanut oil in my massage sessions. It has several benefits. It is light, doesn’t leave your skin feeling goopy, does not go rancid, does not trigger allergic reactions, and washes cleanly out of sheets and clothing. It provides a glide on the surface of the skin, perfect for massage. Ask to introduce my special oils and creams for other benefits. Or if do you have a favorite medium? Bring it in and I will be happy to use it on you for your massage. I do pregnancy massage. Great for helping the mom-to-be “just get through it”, as her body goes through major adaptations prior to childbirth. Comfortably positioned with pillows in a side-lying position, this massage gently soothes away aches and pains as the body adjusts to baby. I always use professional draping techniques throughout each massage session. Your privacy is always respected. I am sensitive to your needs throughout your massage. I will be responsive to your preferences, such as: if you like the room lighter or darker, the table warmer or cooler, lighter or firmer pressure, or a change of music. Do you have a favorite relaxing CD, something you like to relax or meditate to? Bring it in! I’ll be happy to play it during your session. I enjoy meeting people – especially one on one. I love talking with people and sharing experiences. I try to follow your lead when it comes to conversation levels, as everybody relaxes differently. If you like it quiet, I am glad to oblige. If you enjoy conversation – I do too! I find conversation fun and energizing, which translates into great energy for a great massage. I have gift certificates! What a wonderful gift for anyone in your life! Massage is often a gift that your special someone might not get for themselves. A thoughtful gift for any occasion – give the gift of health!